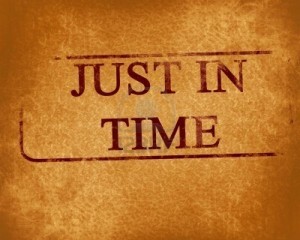 “Just in time” counseling is what we provided to a single mother of a 16 year old son recently. She called us at 1:30 am besieged by worry about her son who had neither called nor made it home for his midnight curfew. Believe me when I tell you that this mother was not seeking an appointment to see one of our counselors the next day to discuss the many challenges inherent in being the single parent of an adolescent boy. What she needed was for our counselor to talk to her at that immediate moment as the situation was developing. She was becoming frantic and needed someone to help her settle down. Her son had missed curfew the week before and she was dissatisfied with her response then (which included throwing a few household objects against the wall) when her son eventually did show up. She was feeling out of control and uncertain about how to contain her growing desperation. She had trouble thinking clearly about what she should do next. Should she start calling the police and the local hospitals? Should she call her ex-husband? The counselor stayed on the line on with her until the errant teen called a while later with a story that included a flat tire and a dead cell phone battery. The mother talked with the counselor about her options for handling the conversation with her son when he eventually returned home. The counselor helped her think about what kind of mother she wanted to be and how that mother would handle this situation. She focused on her ability to control her reactions rather than her disappointment and resentment about being unable to control her son’s behavior. For individuals and families, EAP’s “just in time” access and availability is a reassuring element of EAP and valued component of an organization’s employee support strategy. Counseling options available under the employee’s health plan are typically not structured to provide this “just in time” feature. For managers and HR staff, EAP’s “just in time” access and availability means, when immediate assistance is required to deal with an employee issue on any shift (e.g. an accident or death in the workplace, concerns about an employee being impaired and presenting a safety risk, etc.) the EAP is available to provide an immediate consultation for developing a plan. Family problems and work emergencies are not confined to normal business hours. EAPs are structured and staffed to reflect this reality and to be available to help at any time our clients need assistance.